Every year, every skier and snowboarder will dream of going to a mountain with lots of snow. When the snow forecast predicts a heavy snowfall, all mountain goers will feel the butterflies of excitement brewing. But what many beginners don’t realize, is that heavy snow fall often comes at a price. A sunny bluebird day that follows a heavy snowfall often causes high avalanche risks, with the majority of mountain goers not owning an avalanche beacon (let alone the best avalanche beacon). 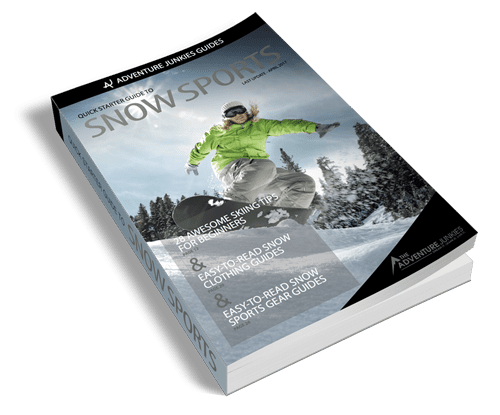 The Adventure Junkies has created an easy guide for you, to not only buying an avalanche beacon but a useful know-how to spotting key features to look for in your new piece of kit. 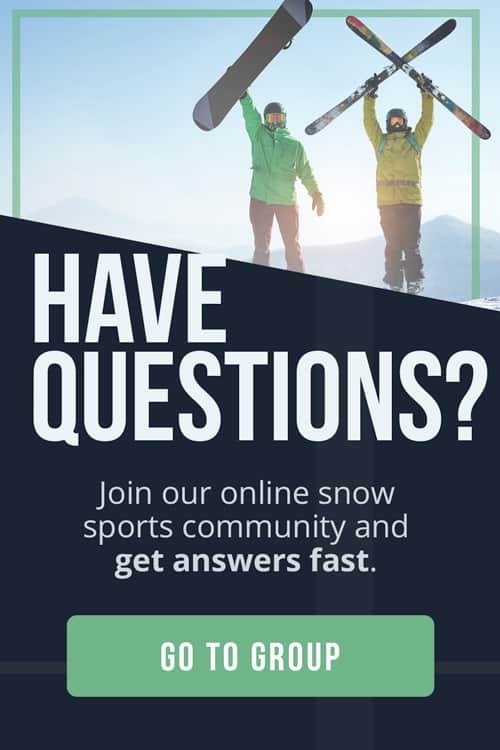 Regardless of whether you consider yourself a backcountry touring pro, or a rookie of the mountain, we can help you choose the right kit to enjoy your snow time safely! As climates change mountains are getting more and more unpredictable. 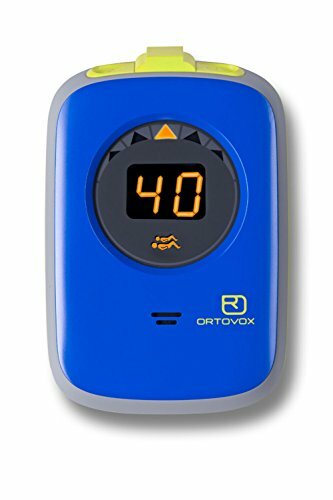 So when looking to buy an avalanche beacon, it is always wise to seek one that works well. 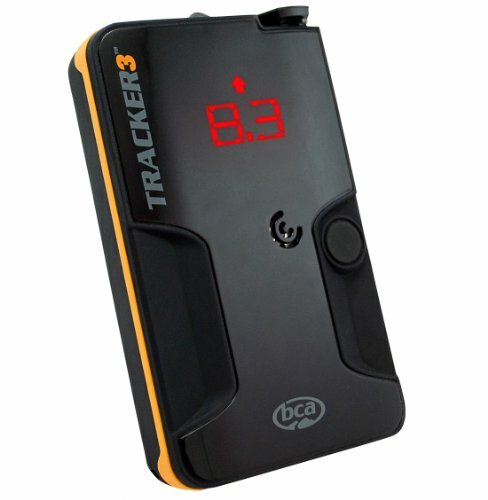 Be it in multiple burials that need a fast search, or finding a beacon that is easy to understand and use in a rescue. Having a strong set of ski wear and gear can be useless if you aren’t cautious and prepared when skiing off piste. 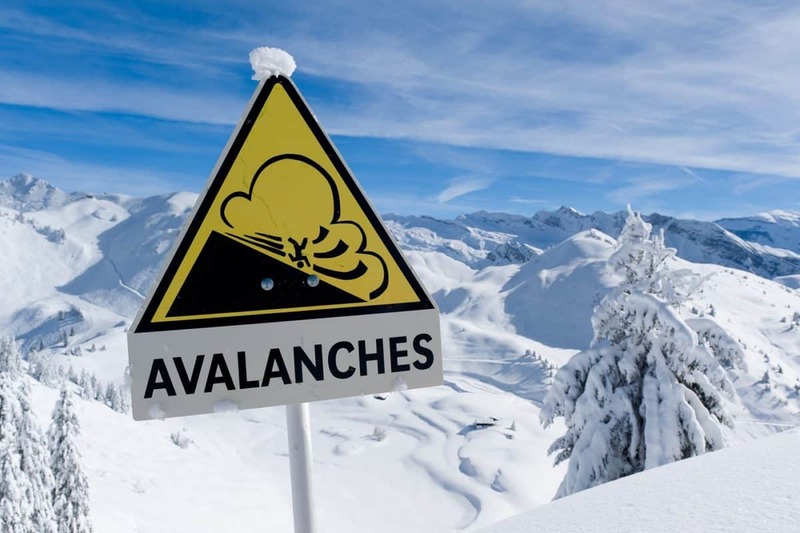 A ski helmet will only provide protection from the initial impact of an avalanche slide. It is the beacon that will rescue you from the burial. 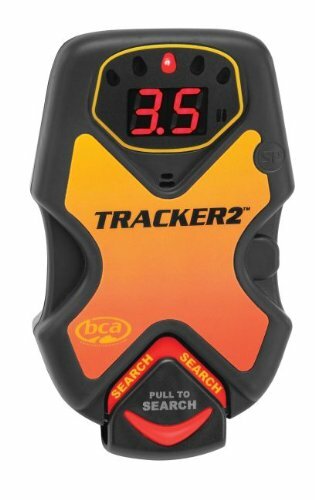 The range of your avalanche beacon will determine how far the signal can search at any one time. The majority of high-performing beacons will feature a range of 160 ft (50 meters) or more. With some beacons being able to cover up to 190 ft (60 meters). When considering the range, it is also worth considering the search width you will be using. This is due to some widths being more effective than others in various situations. For unpracticed beginners, a long range is usually more beneficial. Most avalanche beacons have multiple antennae. The benefit of this is that a single antenna will only be able to search a very limited reception range. Whereas two antennas or more will instead be able to perform a more effective and quick search. This is great in severe conditions where time is running out. The higher market rated beacons will often feature three antennae. This feature will allow your device to search in three directions at once. Such as left/right, up/down and forward and behind. These will help you search the danger area faster. But the downside of doing so can result in completing your search without locating a signal. It is best to seek a device that is able to switch between a narrow and wide search strips. This option allows you to tailor your needs to suit the conditions and scenario before you. If you are a beginner with a device that can switch, practice will be necessary. Practice will always be crucial for beginners unsure of when to use narrow or wide search widths. The opposite to a wide search strip; is a narrow strip. Narrow strip are proved far more time-consuming. Experts will argue a narrow strips is far more accurate in locating mountain signals. When buying an avalanche beacon it can be a good plan to choose a device capable of this feature. But be sure to take it out and practice! Doing so will speed up your search process and maintain a high accuracy. 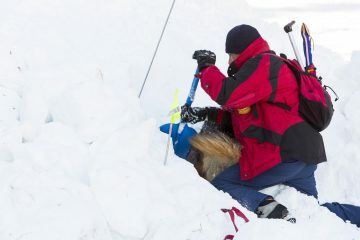 In bad avalanche conditions, it is rare that you will be facing a single burial. As a result of this experts have designed marking features. Multiple marking systems will seek several victims at once. A rescue team can mark several locations. This allows you to dig for more than one victim at the same time. As you dig, the beacon continues to search the location for other victims. The display of your avalanche beacon is an often overlooked aspect. 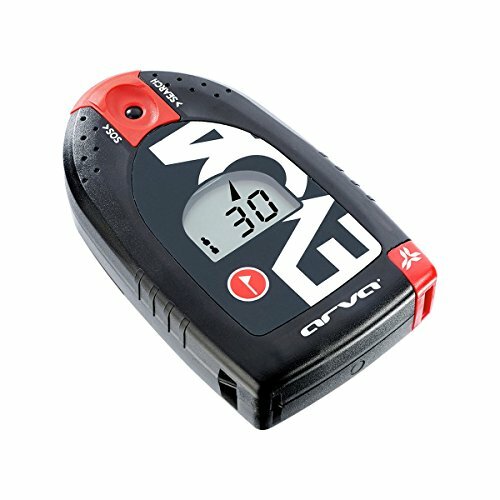 But when you are in low light conditions and an emergency, this can be a vital trait of your avalanche beacon. A good beacon will have a bright and easy to read display, some featuring backlights to their screens. This way despite poor visibility, reading your beacons signal won’t be an issue. Whether you are in the dark or a blizzard! 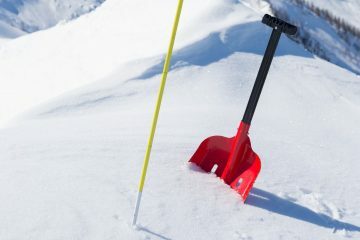 It is easy to overlook the simplest functions of an avalanche beacon. Yet these will be the most time-consuming in a crisis. One of the most common and overlooked flaws can your gloves. Many gloves are not compatible with touch screens and small buttons. Check if your beacon is operational while wearing your winter gloves. Removing your gloves during a search is time-consuming and risks the survival rates. Struggling to operate your beacons controls is dangerous in a dire avalanche scenario! 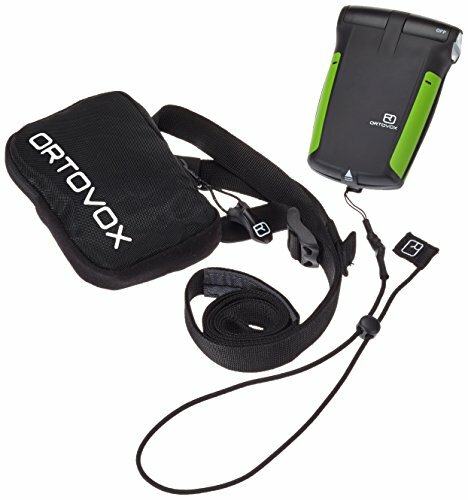 Most avalanche beacons come with a strap or harness. It is always a good idea to try these out before a sale. Most mountain equipment stores will be happy to show you not only how these fit, but how to wear them. Avoid a harness that holds your beacon in an uncomfortable position. This could be pressing on your chest or too far to the side for easy access. 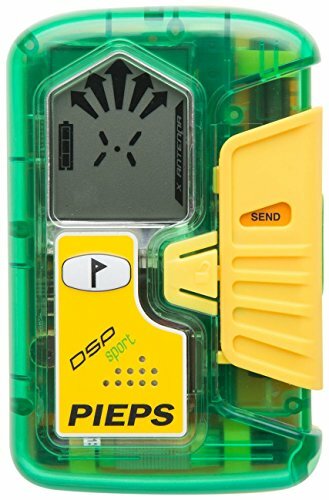 This is not suitable for the quick and reliable access you will need in any avalanche scenario. This goes hand in hand with the comfort of the avalanche beacon you choose. Be careful not to select a beacon that is bulky and heavy, or additionally to light and fragile. These devices are durable when made well. They shouldn’t be uncomfortable as you operate them. Find a design that is durable, whilst being a weight you can support with ease. 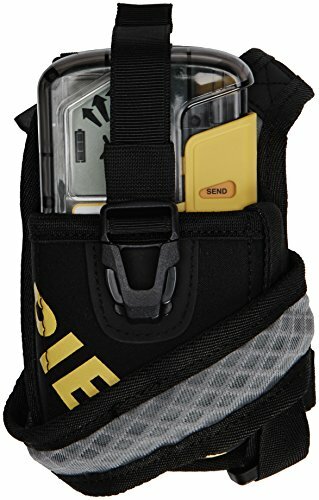 Take the strap and harness into consideration, if these come with the beacon.